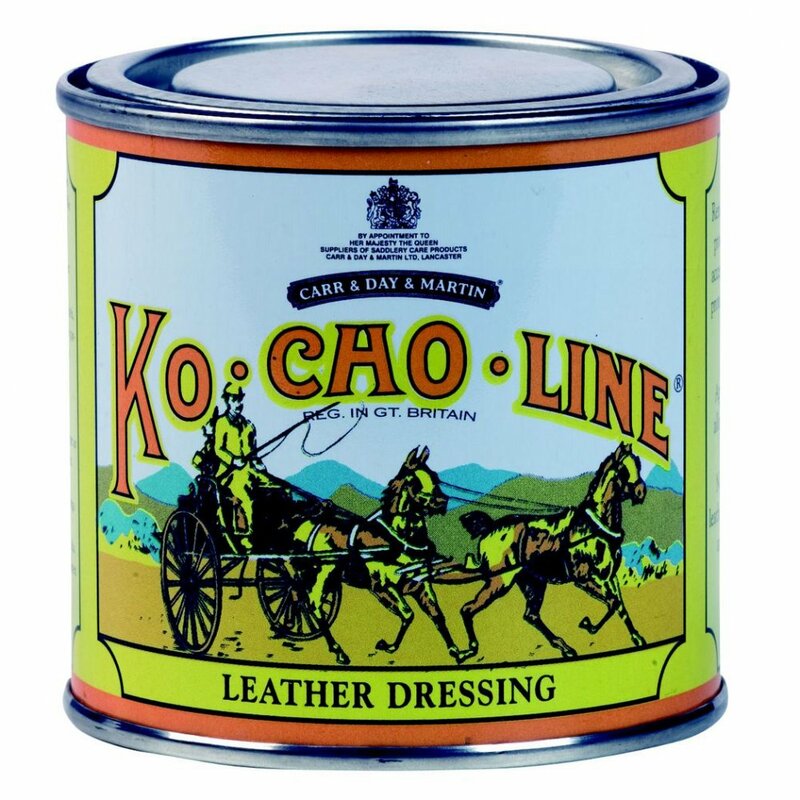 Ko-Cho-Line Leather Dressing is a thick red grease to renovate, soften and revive saddlery and leather. Ko-Cho-Line also protects against mould and mildew, so is ideal for treating saddlery prior to storage and will not rot stitching. It can also be used on metal to help prevent rusting during storage. Apply a generous layer of this leather dressing to both sides of clean, dry leather prior to storage. For use as a general leather dressing apply to clean leather and leave for 12 hours, ensuring you wipe away any excess dressing that remains. Ko-Cho-Line is not suitable for aniline or untreated leather, suede or nubuck.